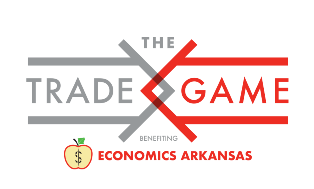 Join us for the inaugural Northwest Arkansas Trade Game to catch a glimpse of how Economics Arkansas is infusing economic education and financial literacy into schools across the state. Upon arrival, you’ll be given a token gift – think VIP tickets, experiences and more – that you may then trade for other exciting gifts to receive your most desired item in three rounds. Enjoy this lively, hands-on activity demonstrating and measuring how voluntary trade results in higher satisfaction and wealth creation. Your participation helps us provide economic education training and resources to Arkansas teachers and their students for years to come. Virtual ticket: $100 per person, suggested, but any amount is appreciated. 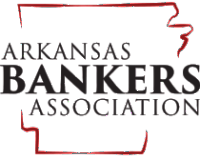 A virtual ticket allows you to participate in our online auction that will accompany the Trade Game (details to come) while supporting economic and personal finance education for Northwest Arkansas students. To register online, please click on the "REGISTER now" button above. Or, if you prefer to complete a paper form, please click here.